Philip Boni is Deputy Chairman of the firm’s Litigation practice and has almost 40 years of civil litigation experience with a concentration on Banking, Employment, confidentiality matters, and Law of Trusts. He is an Accredited Mediator, recognized by ADR Chambers UK Limited and by the UK Civil Mediation Council. He regularly advises national and international corporate clients and financial institutions. Philip was head of Truman Bodden & Company’s Litigation Department until that firm’s merger with Higgs & Johnson in 2009. 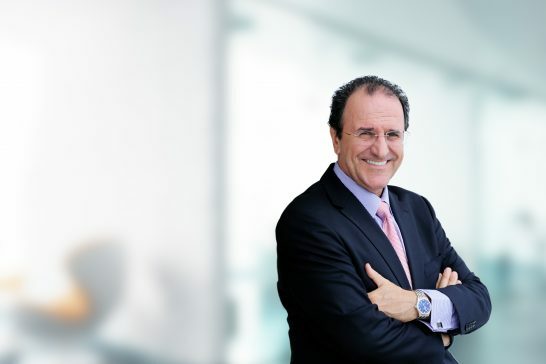 He held the position of Country Managing Partner (Cayman Islands) from 2010 – 2011. He is currently Of Counsel with the firm. 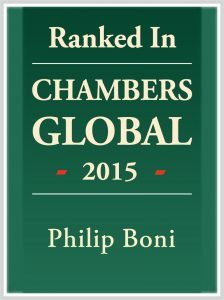 Philip was listed as a Leading Lawyer in Dispute Resolution by Chambers Global (2014-2015) and as a Recommended Lawyer by the Legal 500. Philip is a Notary Public and a member of the Cayman Islands Law Society. He is also a member of the Law Society of England and Wales and the American Bar Association. Philip obtained his Law Degree from the University of London and was admitted as a solicitor in England and Wales in 1979. He practiced law in London and South West England before moving to Grand Cayman and being admitted to the Bar of the Cayman Islands in 1982. Acting for various clients in circumstances requiring the investigation and identification of fraud and the recovery of assets and compensation through the civil courts. Acted for a major international oil company regarding various matters including potential litigation arising from an oil spill with environmental implications. Acting for a substantial marine insurer in the United Kingdom in relation to a claim being made in connection with a Marine accident in Cayman waters. Acting for a substantial worldwide Banking Corporation in relation to a branch office matter involving the sale of a portion of the Banks business and certain legal consequences arising from the transaction including employment matters such as pension and other perquisites. Advising an important local group of companies in connection with a Complaint filed with the Department of Labour and Pensions alleging unfair dismissal together with collateral clans made by another disgruntled employee. Preparation of documents for the Cayman Islands Labour Tribunal. Advising a senior financial services employee in relation to redundancy, constructive dismissal and other matters arising from the merging of two international financial institutions and the negative consequences of the merger upon the client’s contract of service. Advising a substantial local group of companies in connection with issues relating to software contracts and to the provision of both hardware and software services to an international company operating in the Cayman Islands.